What do we do when someone comes to us and expresses a trouble they are experiencing? There are so many ways that we can help them, but one of my favorite gifts to offer is a custom tea blend. I feel that the personalized touch of making an individualized offering for that person shows a great deal of compassion and care and that people truly value that type of sincere empathy. 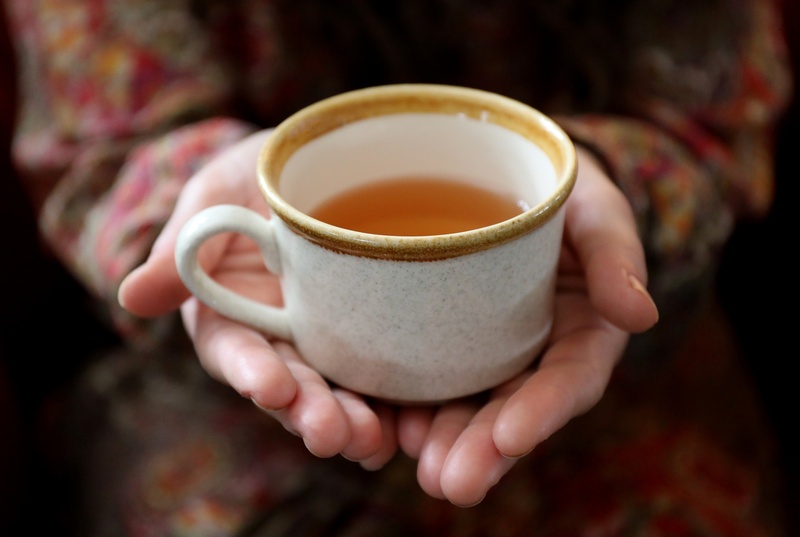 I also believe that the act of sipping hot tea is a great self-care practice, and that the soothing and beneficial properties of the herbs themselves can greatly improve one's well-being. For instance, I had a very dear friend share with me that she was feeling out of balance and needed help winding down at the end of the day. 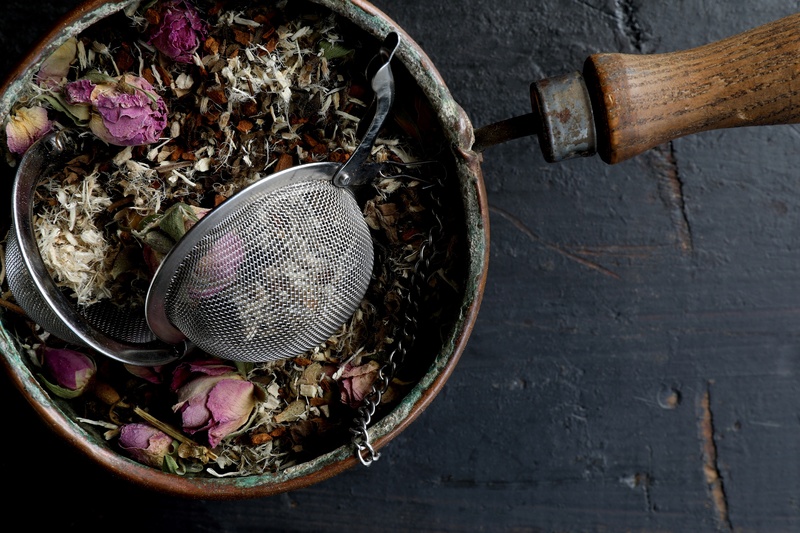 I came up with a blend that would help to calm and brighten her spirits, a recipe I named the “Goodnight Kiss” bedtime tea for its soft flavor and its gentle, soothing action. 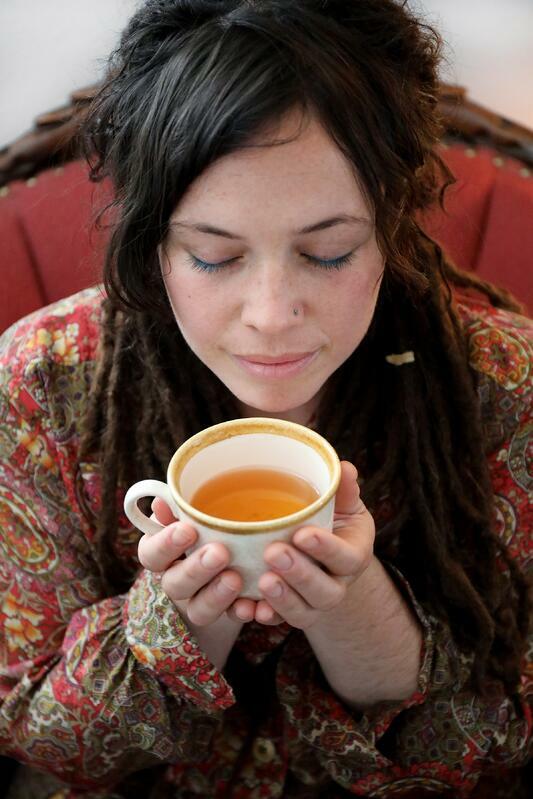 After continued use of the tea, she reported to me that she was enjoying it before bed and shared how much better her sleep was as a result of adding this ritual before bedtime. She also explained that she made it a point to isolate the flavors and characteristics of each ingredient and what its unique offering gave to her body. She would start by focusing on one botanical during each sip, and then she would think about how their harmony in her cup helped to create harmony within herself. 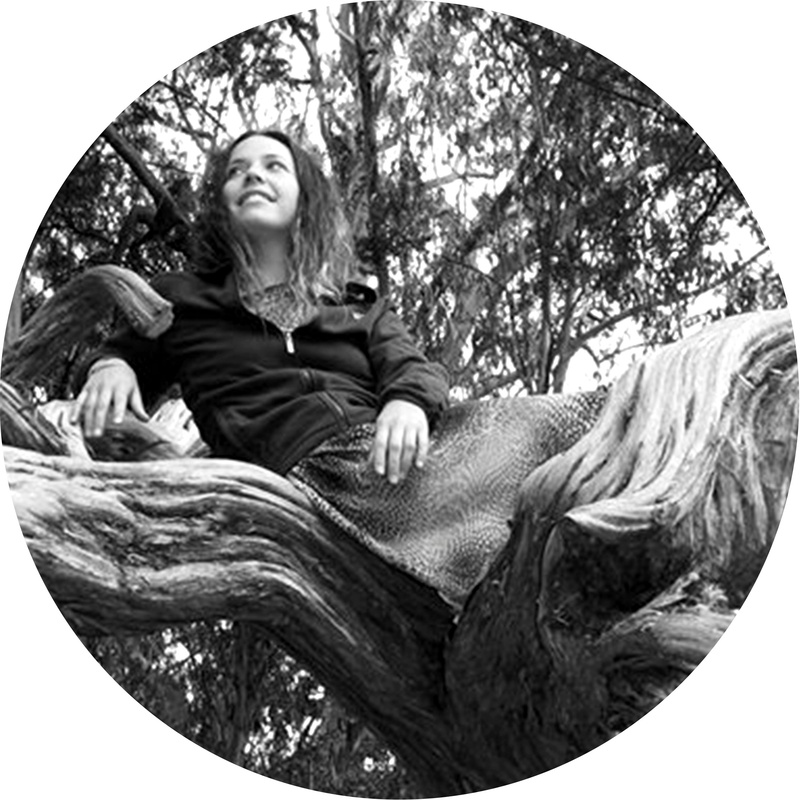 This practice of appreciation and the act of slowing down had greatly affected her mental and physical well-being. This can be done with any tea blend, though it is good to start with a tea that doesn’t have more than four herbal ingredients, making to easier to isolate each one. Because this blend had such a positive effect on my friend, I wanted others to be able to enjoy it. I think it’s really important for us to be connected with the effects and the care that each of these ingredients offers to us. So without further ado, I give you my Goodnight Kiss. Makes 1/2 cup tea blend (1 to 2 cups brewed tea) when 1 part = 1 tablespoon. Scale to your needs. Blend all herbs together in a bowl and store in a cool, dark, dry place. When making the tea, bring water to gentle simmer. Scoop blend into tea strainer or kettle. Use 1/4 to 1/2 cup of tea blend for each brewed 8 ounce cup you plan to enjoy (depending on your tastes). Pour water over tea blend, cover, and let steep for 10 minutes (covering will hold in all of the beneficial oils instead of them evaporating off). Remove strained herbs and add sweetener if desired. Drink slowly and mindfully and, most of all, enjoy! 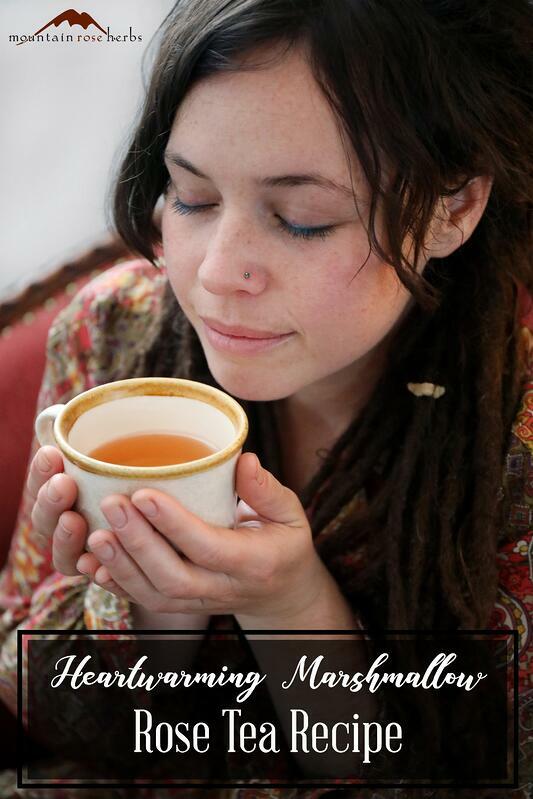 Looking for More Herbal Tea Recipes? Blend a Batch of Our Classic Echinacea & Roots Tea!